Looking at the chart above, you may be running the new Android versions. But these are percentages of devices infected by malware, so total number of users has no impact. The Lollipop PHA rate is 0.66%, while the PHA rate is 0.06%. The difference in PHA rates is almost as long as you staggering sideload apps from external sources. 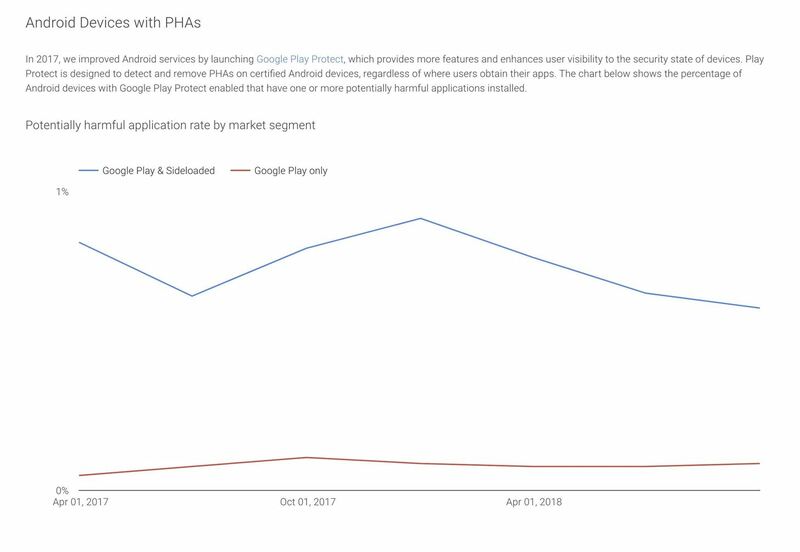 Google Play users are infected at 0.9% globally. More instances of sideloading apps per user, and more phones from OEMs with bad Android update track records. 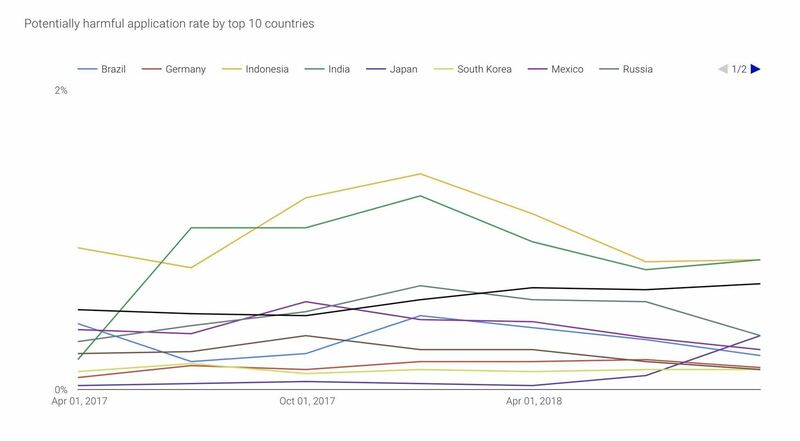 With Samsung being notoriously slow for Android updates, they have some of the blame for poor malware rates in the US. They're in the middle of Android and they have just released their Android OS to Oreo, an OS upgrade that was made available 15 months ago. While there's nothing you can do about receiving this update (aside from rooting and installing a custom ROM), you can certainly improve your security by being aware of sideloading apps. APKMirror or a dependable developer's official website.